SockMonkey Studios are a DigitalCity company which design apps. They have recently celebrated their second year in business and moved into new offices on the top floor of Phoenix Building at Teesside University. Bob Makin (pictured left)and Darren Cuthbert are the two founders of the company. Teesside University’s expertise in digital media and technology lies at the heart of the success of DigitalCity, a ‘super cluster’ of businesses and jobs in the information and communications technology sector in the North East of England. The Tees Valley-based initiative has developed from a long-standing partnership between the University and Middlesbrough Council, supported by the EU and the private sector, aimed at creating jobs and wealth in the region. Since beginning in 2011, the initiative has supported more than 400 businesses and helped to created more than 300 jobs. Spearhead Interactive, Dan Riley, with visitors from Pakistan, Victoria Building. One of the most successful aspects of the project has been the DigitalCity Fellowship programme. DigitalCity Fellows are given support with their living costs while they are developing their product or business. At the same time, they are able to use facilities and equipment at Teesside University and have access to mentoring and advice from key industry professionals and academics. The Fellowship programme has helped to spawn some of the North-East’s most successful and innovative digital businesses. Spearhead Interactive has positioned itself at the forefront of developments in real-time 3D and Virtual Reality (VR) software and is using technology from the world of gaming to develop applications for businesses, educators and governments across the globe. Spearhead founder Dan Riley, a graduate of Teesside University, has been helped to fund potential overseas leads through the Enterprise Europe Network North-East in which Teesside University is a delivery partner. 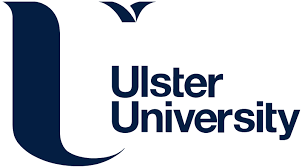 The company has also been supported with incubator space in the University’s Victoria Building. Teesside graduates Bob Makin and Darren Cuthbert left their jobs working for computer games companies in order to fulfil their dream of setting up their own business. 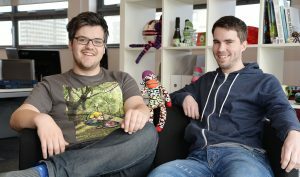 With the help of the Fellowship programme, they founded SockMonkey Studios, a mobile apps and game developers. Now employing five people, the company has moved into a business unit in Teesside University’s Phoenix Building. Their first app, Wurdy, a word guessing game, was featured by Apple in 147 countries and reached the number one spot in two countries. Other work has swiftly followed and they have collaborated with several other studios on games apps. Their next project includes a soon-to-be-released mobile football game for young children. DigitalCity is one of several projects implemented by Teesside University to harness the talent of entrepreneurs and drive the economy in the North-East. The Teesside Launchpad is an innovative space designed to allow the free flow of ideas and the creation of new business and collaborative working opportunities for students, staff and graduates. The University also manages Fusion Hive, the Tees Valley’s newest tech hub designed to support growing digital and creative businesses. Professor Jane Turner, Pro Vice-Chancellor (Enterprise and Business Engagement), said: “At Teesside we want to create an ecosystem to support businesses at every stage of their development and enable entrepreneurs to make the most of their talent to succeed. “Our graduates are encouraged that entrepreneurship is a viable career choice and the Teesside Launchpad provides them with a space to develop ideas and make partnerships. “DigitalCity has a proven record of establishing businesses and providing them with the support and skills to grown and remain viable. “Established businesses can move in to Fusion Hive where they can access the University expertise and business expert.